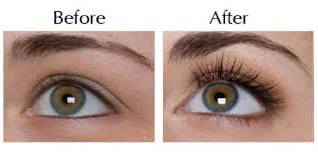 Eyelashes get thinner with age and also reduce in number – this is a fact. Until now the only way to disguise the loss of lash number and definition was to apply false lashes which are both awkward to apply and often make the eyelid feel heavy. 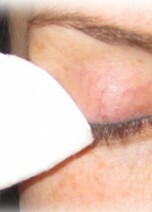 One application of LashDoctor™ was applied daily for 12 weeks. LashDoctor™ works at a cellular level in the hair follicle. It signals the follicle to extend the growth cycle of the lash resulting in a longer, thicker lash that in turn appears darker. Once your eyelashes are at the desired length you can drop down to a maintenance dose to sustain the results. WORKS AS QUICKLY AS 2 WEEKS! LashDoctor™ used for 9 weeks. Anyone can use LashDoctor™ who is not undergoing treatment for an eye problem or who has had sensitivity to LashDoctor™ in the past. LashDoctor™ comes in the form of a liquid bottle dropper and an applicator. A drop of the medication is placed on the applicator and applied to the base of the upper lashes (where the lashes join the edge of the eyelid), in the same way you would apply eyeliner to the top lid. Studies have shown that it is effective in everybody, to a varying degree. All users should experience a lengthening, thickening and darkening of their lashes however the results achieved are limited by your own lashes. With daily use you will see the lashes becoming thicker after 2-3 weeks and there will be a noticeable lengthening after 4 – 8 weeks depending on your hair growth rate. We recommend using the product for 12 weeks and then dropping down to a maintenance dose although if you have very quick results and wish to drop to a maintenance dose sooner this is absolutely fine. Preferably before bed, but can be anytime the user wishes as long as it is the same time every day. Don’t apply the product more often than once a day. You will not achieve better results and the growth will not be faster. Yes, no problem, however, it may slightly loosen some lashes. When applying make sure all makeup is removed so that it can penetrate the skin and be absorbed. Makeup can be applied 15 minutes after application if required. Yes, however the contact lenses must be taken out whilst applying. They can be replaced 15 minutes after application if required. The most common is a slight itchy sensation in the first few days of use. There is a full list of side-effects on the after-care sheet we have provided. If there are any questions or severe problems, discontinue use and get in touch with us. The hair will very slowly go back to what it was like before treatment, but it will take months. In fact once the length of the lashes are where you would like them to be, we advise reducing application to every other night or even every third night. The bottle should last at least 3 – 4 months and provided you don’t over-apply or spill the contents it can last up to 6 months. Choose a time of day to apply your treatment. Most people apply LashDoctor™ Serum at night before they go to bed, this allows them to integrate the LashDoctor™ treatment into their daily routine. Try to apply it at the same time every day. Remove all makeup and let the area dry for at least 10 – 20 seconds. 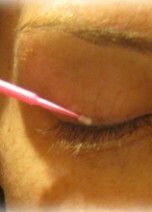 Take an applicator and apply a small amount of LashDoctor™ fluid to the tip. The product is very potent and only a small amount is needed. Applying a large amount each time or applying it more than once a day will not give you better results – it will just make you run out quicker! 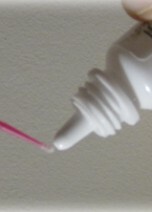 Apply the liquid to the skin at the base of the eyelashes, moving from one end of the lash line to the other. Make sure you do not apply too much as this will not quicken the process and will increase the chance of itchiness or redness in the area.